At Solar and Wind Applications we design every system for you from ground up. When we meet you we’ll discuss all the options which are suitable for you so that you can make an informed decision on choosing the most suitable Domestic Solar PV system for your needs. We believe that a Solar PV system is only as good as its design – a “package” solution is not always the best way to make sure you get the best finished installation. 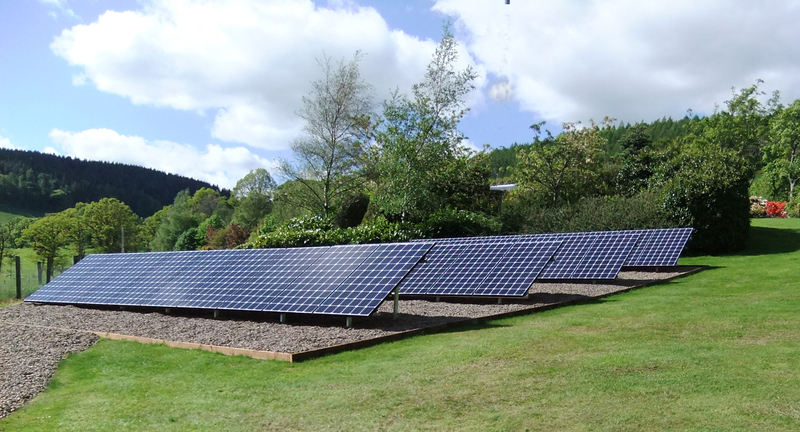 A 3-5kW Solar PV system is perfect if you have enough roof space (or unshaded garden space for a ground mounted array) and want to achieve the largest returns and biggest energy savings. Our systems can be made up from a selection of inverters from SMA, Fronius to SolarEdge and modules from a number of top manufacturers all designed by us to ensure the highest performance system you can get. We believe in sticking to what we know works, and we’re currently recommending LG Solar PV Modules, which we’ve been using for several years with fantastic results. When combined with Tesla Powerwall 2 battery storage, this solution can also provide most of your non-generation-time electricity respectively too, meaning further savings! Please give us a call or get in touch using the contact form on the website and we will be happy to get your installation journey started!